Venoah Whitcomb was born circa 1860 at Cayuga, New York, USA. [S65] 1920 United States Federal Census, online , Year: 1920; Census Place: Lockport Ward 5, Niagara, New York; Roll: T625_1241; Page: 7A; Enumeration District: 86; Image: 300. [S11] 1910 United States Federal Census, online , Year: 1910; Census Place: Montezuma, Cayuga, New York; Roll: T624_928; Page: 5A; Enumeration District: 0049; FHL microfilm: 1374941. [S2] 1880 United States Federal Census, online , Year: 1880; Census Place: Montezuma, Cayuga, New York; Roll: 814; Family History Film: 1254814; Page: 185D; Enumeration District: 029; Image: 0293. [S62] Ancestry.com, Social Security Death Index (n.p. : Online publication - Provo, UT, USA: Ancestry.com Operations Inc, 2011.Original data - Social Security Administration. Social Security Death Index, Master File. Social Security Administration.Original data: Social Security Administration. Social Security D, unknown publish date), Number: 078-05-0792; Issue State: New York; Issue Date: Before 1951. [S75] Ancestry.com, World War I Draft Registration Cards, 1917-1918 (n.p. : Online publication - Provo, UT, USA: Ancestry.com Operations Inc, 2005.Original data - United States, Selective Service System. World War I Selective Service System Draft Registration Cards, 1917-1918. Washington, D.C.: National Archives and Records Admini, unknown publish date), Registration Location: Niagara County, New York; Roll: ; Draft Board: . [S61] 1930 United States Federal Census, online , Year: 1930; Census Place: Lockport, Niagara, New York; Roll: 1617; Page: 15B; Enumeration District: 26; Image: 620.0; FHL microfilm: 2341351. [S65] 1920 United States Federal Census, online , Year: 1920; Census Place: Montezuma, Cayuga, New York; Roll: T625_1090; Page: 4A; Enumeration District: 38; Image: 12. [S11] 1910 United States Federal Census, online , Year: 1910; Census Place: Montezuma, Cayuga, New York; Roll: T624_928; Page: 9B; Enumeration District: 0049; Image: ; FHL microfilm: 1374941. [S9] Ancestry.com, 1860 United States Federal Census (n.p. : Online publication - Provo, UT, USA: Ancestry.com Operations, Inc., 2009. Images reproduced by FamilySearch.Original data - 1860 U.S. census, population schedule. NARA microfilm publication M653, 1,438 rolls. Washington, D.C.: National Archives and Records, unknown publish date), Year: 1860; Census Place: Conquest, Cayuga, New York; Roll: ; Page: 842; Image: 365. [S6] Ancestry.com, 1850 United States Federal Census (n.p. : Online publication - Provo, UT, USA: Ancestry.com Operations, Inc., 2009. Images reproduced by FamilySearch.Original data - Seventh Census of the United States, 1850; (National Archives Microfilm Publication M432, 1009 rolls); Records of the Bureau of the, unknown publish date), Year: 1850; Census Place: Conquest, Cayuga, New York; Roll: M432_481; Page: 56A; Image: . [S66] 1925 New York, State Census, online , New York State Archives; Albany, New York; State Population Census Schedules, 1925; Election District: 01; Assembly District: 01; City: Montezuma; County: Cayuga; Page: 14. [S34] 1865 New York Census, Record Type: New York State Census, "New York, State Census, 1865," images, FamilySearch (https://familysearch.org/pal:/MM9.3.1/TH-266-11685-38604-65 : accessed 31 Oct 2013), Cayuga > Montezuma > image 17 of 28. [S26] 1900 United States Federal Census, online , Year: 1900; Census Place: Montezuma, Cayuga, New York; Roll: T623_31077_4114487; Page: 7B; Enumeration District: 0034; FHL microfilm: 1241013. [S75] Ancestry.com, World War I Draft Registration Cards, 1917-1918 (n.p. : Online publication - Provo, UT, USA: Ancestry.com Operations Inc, 2005.Original data - United States, Selective Service System. World War I Selective Service System Draft Registration Cards, 1917-1918. Washington, D.C.: National Archives and Records Admini, unknown publish date), Registration Location: New York County, New York; Roll: ; Draft Board: . [S65] 1920 United States Federal Census, online , Year: 1920; Census Place: Manhattan Assembly District 15, New York, New York; Roll: T625_1212; Page: 25B; Enumeration District: 1064; Image: 1038. [S11] 1910 United States Federal Census, online , Year: 1910; Census Place: Syracuse Ward 8, Onondaga, New York; Roll: T624_1056; Page: 3B; Enumeration District: 0132; Image: 624; FHL microfilm: 1375069. [S11] 1910 United States Federal Census, online , Year: 1910; Census Place: Montezuma, Cayuga, New York; Roll: T624_928; Page: 5B; Enumeration District: 0049; FHL microfilm: 1374941. [S87] Ancestry.com, U.S., World War I Draft Registration Cards, 1917-1918 (n.p. : Ancestry.com Operations Inc, unknown publish date), Registration State: New York; Registration County: Cayuga; Roll: 1712292. [S62] Ancestry.com, Social Security Death Index (n.p. : Online publication - Provo, UT, USA: Ancestry.com Operations Inc, 2011.Original data - Social Security Administration. Social Security Death Index, Master File. Social Security Administration.Original data: Social Security Administration. Social Security D, unknown publish date), Number: 095-32-8313; Issue State: New York; Issue Date: 1956-1957. [S66] 1925 New York, State Census, online , New York State Archives; Albany, New York; State Population Census Schedules, 1925; Election District: 01; Assembly District: 01; City: Montezuma; County: Cayuga; Page: 10. [S61] 1930 United States Federal Census, online , Year: 1930; Census Place: Montezma, Cayuga, New York; Roll: 1411; Page: 5A; Enumeration District: 43; Image: 886.0; FHL microfilm: 2341146. [S75] Ancestry.com, World War I Draft Registration Cards, 1917-1918 (n.p. : Online publication - Provo, UT, USA: Ancestry.com Operations Inc, 2005.Original data - United States, Selective Service System. World War I Selective Service System Draft Registration Cards, 1917-1918. Washington, D.C.: National Archives and Records Admini, unknown publish date), Registration Location: Onondaga County, New York; Roll: ; Draft Board: . [S26] 1900 United States Federal Census, online , Year: 1900; Census Place: Syracuse Ward 11, Onondaga, New York; Roll: T623_31077_4114719; Page: 7A; Enumeration District: 0123; FHL microfilm: 1241137. [S65] 1920 United States Federal Census, online , Year: 1920; Census Place: Syracuse Ward 6, Onondaga, New York; Roll: T625_1247; Page: 9B; Enumeration District: 142; Image: 1035. [S66] 1925 New York, State Census, online , New York State Archives; Albany, New York; State Population Census Schedules, 1925; Election District: 01; Assembly District: 01; City: Montezuma; County: Cayuga; Page: 16. [S61] 1930 United States Federal Census, online , Year: 1930; Census Place: Rochester, Monroe, New York; Roll: 1451; Page: 19A; Enumeration District: 83; Image: 412.0; FHL microfilm: 2341186. [S69] 1940 United States Federal Census, online , Year: 1940; Census Place: Rochester, Monroe, New York; Roll: T627_2851; Page: 61A; Enumeration District: 65-333. Mary Elizabeth Cramer was also known as Lillie Whitcomb.6 She was born in March 1862 at Fulton, Oswego, New York, USA.6,2,3,4,5 She was born in 1867 at Fulton, Oswego, New York, USA.1 She married Dewitt Cooley Whitcomb, son of William Leroy Whitcomb and Margaret Cooley. Mary Elizabeth Cramer lived in 1892 at Montezuma, Cayuga, New York, USA; Age: 29.4 She lived in 1900 at Syracuse Ward 11, Onondaga, New York, USA.6 She lived in 1910 at Syracuse Ward 8, Onondaga, New York, USA.1 She lived in 1920 at Montezuma, Cayuga, New York, USA; Age: 57Marital Status: Married; Relation to Head of House: Wife.2 She lived on 1 June 1925 at Montezuma, Cayuga, New York, USA; Age: 64Relation to Head of House: Wife.5 She lived in 1930 at Montezuma, Cayuga, New York, USA; Age: 68Marital Status: Married; Relation to Head of House: Wife.3 She died after 1930. [S65] 1920 United States Federal Census, online , Year: 1920; Census Place: Montezuma, Cayuga, New York; Roll: T625_1090; Page: 4B; Enumeration District: 38; Image: 13. 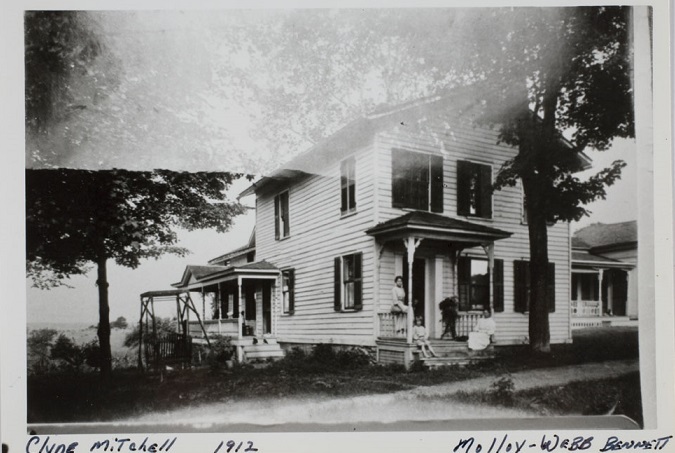 [S2] 1880 United States Federal Census, online , Year: 1880; Census Place: Montezuma, Cayuga, New York; Roll: 814; Family History Film: 1254814; Page: 188C; Enumeration District: 029; Image: 0298. [S34] 1865 New York Census, Record Type: New York State Census, "New York, State Census, 1865," images, FamilySearch (https://familysearch.org/pal:/MM9.3.1/TH-266-11685-38701-65 : accessed 15 Oct 2013), Cayuga > Montezuma > image 1 of 28. [S44] Town of Montezuma Records, online http://web.archive.org/web/20020215005729/http://…, (Waybackmachine), Fenton, Eliza Oct 24?,1885 67-2-23 Junius NY Jonathan Cooley Sarah Devoe. Cathaine Kearnes b. Centerport, Patrick Kearnes Anna McArdle. "New York, State Census, 1875," index and images, FamilySearch (https://familysearch.org/pal:/MM9.1.1/VTDC-W5V : accessed 18 Dec 2013), Chas Humphrey, 1875. [S26] 1900 United States Federal Census, online , Year: 1900; Census Place: Montezuma, Cayuga, New York; Roll: T623_1013; Page: 6B; Enumeration District: 34. [S9] Ancestry.com, 1860 United States Federal Census (n.p. : Online publication - Provo, UT, USA: Ancestry.com Operations, Inc., 2009. Images reproduced by FamilySearch.Original data - 1860 U.S. census, population schedule. NARA microfilm publication M653, 1,438 rolls. Washington, D.C.: National Archives and Records, unknown publish date), Year: 1860; Census Place: Red Creek, Wayne, New York; Roll: ; Page: 740; Image: 92. [S26] 1900 United States Federal Census, online , Year: 1900; Census Place: Auburn Ward 10, Cayuga, New York; Roll: T623_1012; Page: 10A; Enumeration District: 20. [S6] Ancestry.com, 1850 United States Federal Census (n.p. : Online publication - Provo, UT, USA: Ancestry.com Operations, Inc., 2009. Images reproduced by FamilySearch.Original data - Seventh Census of the United States, 1850; (National Archives Microfilm Publication M432, 1009 rolls); Records of the Bureau of the, unknown publish date), Year: 1850; Census Place: Owasco, Cayuga, New York; Roll: M432_483; Page: 154A; Image: . Clyde Livingston Mitchell was born on 14 December 1874 at Montezuma, Cayuga, New York, USA.1,2,11,3,4,7,8,9,10 He lived in 1880 at Montezuma, Cayuga, New York, USA.11 He lived in 1892 at Montezuma, Cayuga, New York, USA; Age: 18.3 He lived in 1900 at Auburn Ward 10, Cayuga, New York, USA.1 He married Mabel M Traver, daughter of Charles Traver and Myra E Tyler. 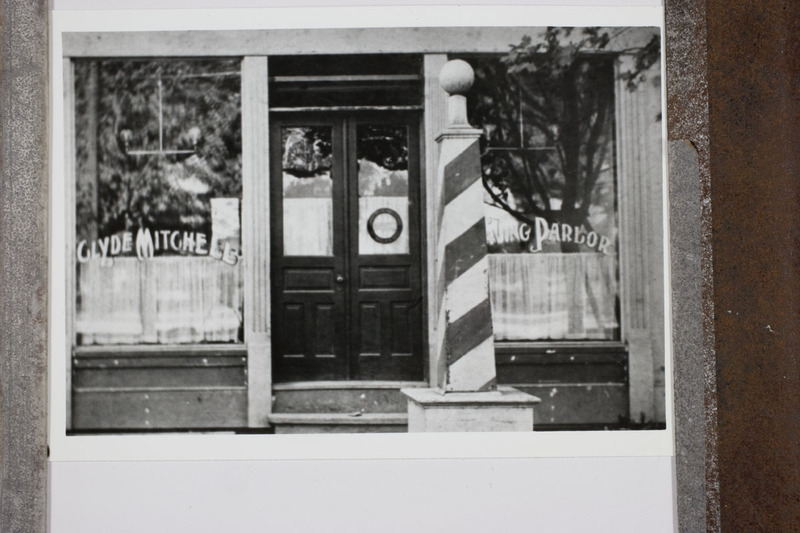 Clyde Livingston Mitchell was Barber in 1910. [S66] 1925 New York, State Census, online , New York State Archives; Albany, New York; State Population Census Schedules, 1925; Election District: 01; Assembly District: 01; City: Cato; County: Cayuga; Page: 15. [S65] 1920 United States Federal Census, online , Year: 1920; Census Place: Cato, Cayuga, New York; Roll: T625_1089; Page: 16B; Enumeration District: 26; Image: 894. [S87] Ancestry.com, U.S., World War I Draft Registration Cards, 1917-1918 (n.p. : Ancestry.com Operations Inc, unknown publish date), Registration State: New York; Registration County: Cayuga; Roll: 1712291. [S62] Ancestry.com, Social Security Death Index (n.p. : Online publication - Provo, UT, USA: Ancestry.com Operations Inc, 2011.Original data - Social Security Administration. Social Security Death Index, Master File. Social Security Administration.Original data: Social Security Administration. Social Security D, unknown publish date), Number: 134-16-4418; Issue State: New York; Issue Date: Before 1951. [S68] 1915 New York, State Census, online , New York State Archives; Albany, New York; State Population Census Schedules, 1915; Election District: 01; Assembly District: 01; City: Cato; County: Cayuga; Page: 23. [S61] 1930 United States Federal Census, online , Year: 1930; Census Place: Camillus, Onondaga, New York; Roll: 1623; Page: 10B; Enumeration District: 125; Image: 954.0; FHL microfilm: 2341357. Notes: 10 Sep 1976: Name listed as WILLIAM PEASE MITCHELL. [S9] Ancestry.com, 1860 United States Federal Census (n.p. : Online publication - Provo, UT, USA: Ancestry.com Operations, Inc., 2009. Images reproduced by FamilySearch.Original data - 1860 U.S. census, population schedule. NARA microfilm publication M653, 1,438 rolls. Washington, D.C.: National Archives and Records, unknown publish date), Year: 1860; Census Place: Montezuma, Cayuga, New York; Roll: ; Page: 720; Image: 243. [S6] Ancestry.com, 1850 United States Federal Census (n.p. : Online publication - Provo, UT, USA: Ancestry.com Operations, Inc., 2009. Images reproduced by FamilySearch.Original data - Seventh Census of the United States, 1850; (National Archives Microfilm Publication M432, 1009 rolls); Records of the Bureau of the, unknown publish date), Year: 1850; Census Place: Glen, Montgomery, New York; Roll: M432_532; Page: 26A; Image: . [S2] 1880 United States Federal Census, online , Year: 1880; Census Place: Montezuma, Cayuga, New York; Roll: 814; Family History Film: 1254814; Page: 185C; Enumeration District: 029; Image: 0292. [S34] 1865 New York Census, Record Type: New York State Census, "New York, State Census, 1865," images, FamilySearch (https://familysearch.org/pal:/MM9.3.1/TH-266-11685-38046-73 : accessed 29 Oct 2013), Cayuga > Montezuma > image 14 of 28. Catherine Donelly was born circa 1842 at New York, USA.1 She was born circa 1849 at Canada.4 She was born circa 1849 at New York, USA.2 She was born circa 1849 at New York, USA.3 She lived in 1850 at Glen, Montgomery, New York, USA.3 She married William Henry Holmes, son of Thomas Holmes and Margaret Miller. Catherine Donelly lived in 1870 at Montezuma, Cayuga, New York, USA.2 She died before 1880. [S9] Ancestry.com, 1860 United States Federal Census (n.p. : Online publication - Provo, UT, USA: Ancestry.com Operations, Inc., 2009. Images reproduced by FamilySearch.Original data - 1860 U.S. census, population schedule. NARA microfilm publication M653, 1,438 rolls. Washington, D.C.: National Archives and Records, unknown publish date), Year: 1860; Census Place: Mentz, Cayuga, New York; Roll: ; Page: 762; Image: 285. [S519] St. Joseph's Weedsport, Genweb Transcription, Url: Rootsweb.com/~nycayuga, online <http://www.cayugagenealogy.org/cem/cem18.htm>, Gravestone. [S2] 1880 United States Federal Census, online , Year: 1880; Census Place: Elbridge, Onondaga, New York; Roll: 905; Family History Film: 1254905; Page: 147D; Enumeration District: 169; Image: 0491.